It’s hard to know what’s in a guinea pig’s heart. Cavies don’t wag their tails the way dogs do; heck, they don’t even have tails. There are the various vocalizations that provide clues, but I’m never sure if Princess Piggy Poo’s “monkey squeaks” mean she’s content or irritated. Sure, cavies hop around popcorning and squeaking for lettuce but that’s excitement, not love. Once I read that guinea pigs “kiss.” I was skeptical. At best, I thought the notion of a guinea pig kiss was misguided personification. That is, until I felt guinea pig kisses—sans sharp teeth—nibbling on my arm. After working in the yard one day, I thought I’d take a break and check in on Princess Piggy Poo. I lifted her out of her cage and held her like a precious pigskin. She got comfortable and the kisses began. It was true, guinea pigs do kiss and not with sandpaper tongues like cats or extend-o tongues like dogs. It was soft and quick. 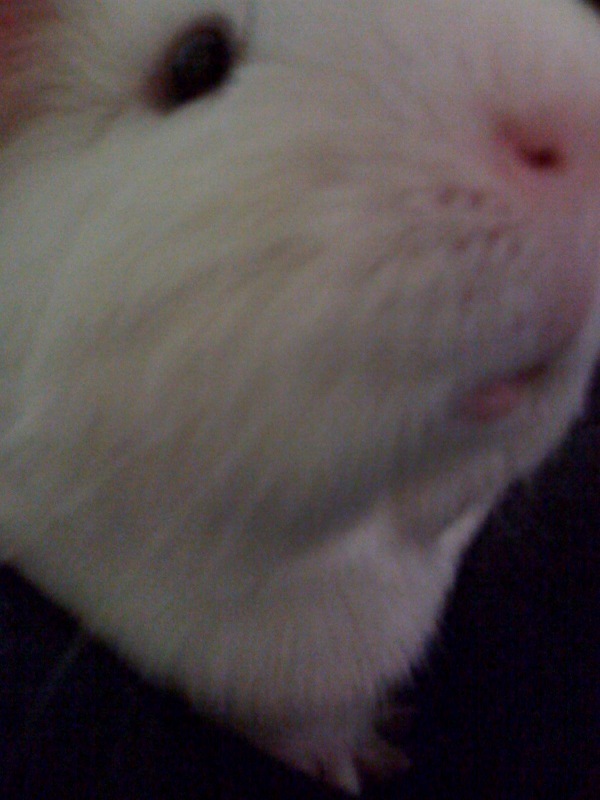 I still haven’t figured out if the kisses come from her lips or if Princess Piggy Poo is French kissing my arm. Maybe the answer is, “Both.” I’ve decided that sometimes it’s best not to question another’s motivation. For now, I’ve been more inspired to work out knowing that whether I’m a beloved guinea pig mother or a salt lick, I’ll be rewarded with sweet guinea pig kisses. Whee piggies lick you, partly because we love you and partly because your skin is slightly salty and tastes good! Adorable and heartfelt. I loved this post.